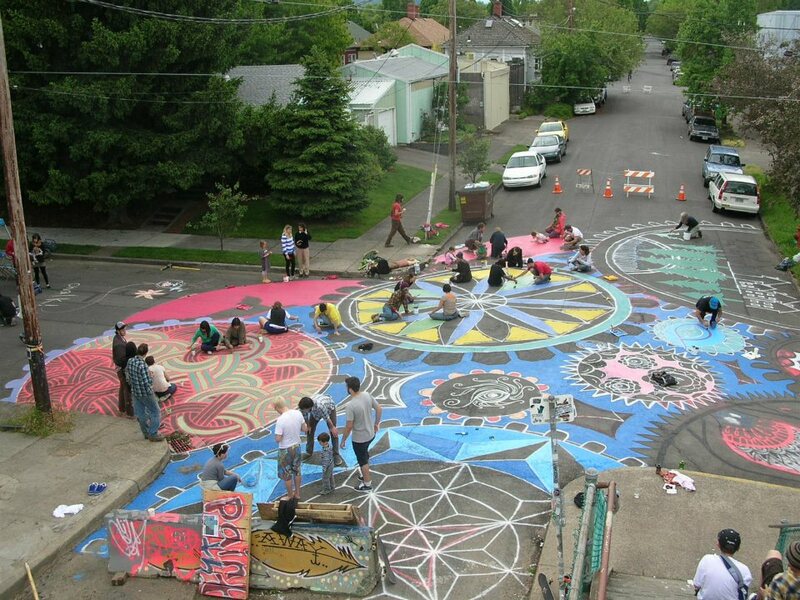 Akron City Repair facilitates creative placemaking through projects that empower local residents to recreate the public commons within their neighborhoods; connecting people to each other and their environment. Akron City Repair provides support, resources, and opportunities to help diverse communities reclaim the culture, power, and joy that we all deserve. Akron City Repair will host facilitator and community trainings in leadership development, natural building, resource management, and participatory and neighbor-led design principles. The program culminates in a four day, city-wide placemaking festival in August. This event will consist of people implementing their designs throughout the city and then communing at night with discussion panels, food and celebration. The applications for sites to be considered for this project are released to the public and will be due May 18th. People who have a space in their neighborhood they’d like to reclaim, revamp, or reimagine are encouraged to fill out the application. This first year, a limited number of sites will be chosen, but that number is expected to grow each year. May 18th: Site Applications Are Due. August 12th -14th: City Repair Action Weekend – The weekend when the site designs will be implemented by the neighborhoods and volunteers from across the city. There will be a nightly gathering featuring workshops, panels, food, music, and community. Email bigloveakron@gmail.com or message on Facebook to get involved, volunteer, or sponsor. Donations to Akron City Repair are tax-deductible, with their fiscal agent Global Ties Akron.